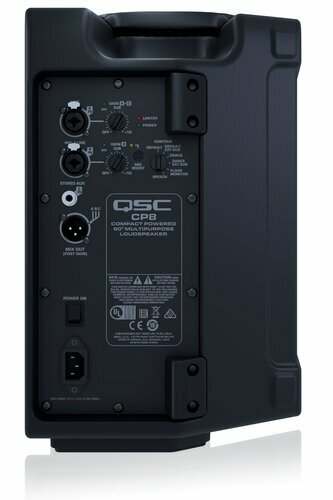 The CP8 from QSC is an 8-inch, two-way active loudspeaker that is built to be lightweight, yet offer the same QSC build qualities of high performance, superior quality and lasting reliability. 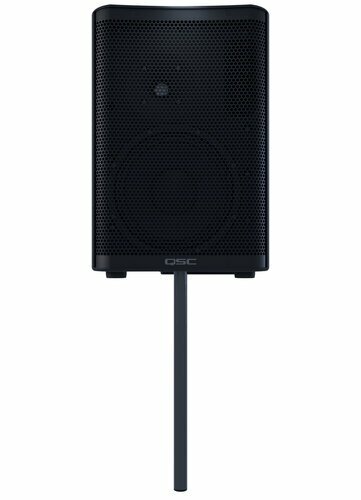 The CP Series of compact powered loudspeakers offers QSC performance, quality and reliability, in a highly compact package. 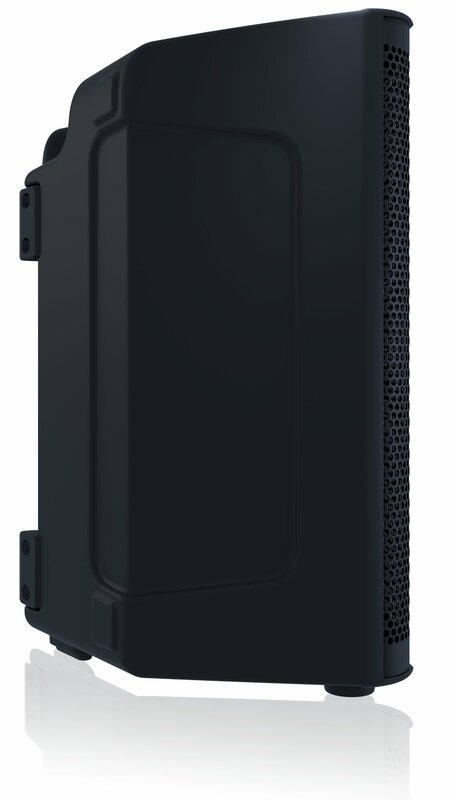 CP is remarkably lightweight, making it easy to load, carry, lift and deploy in a wide range of portable and installed applications. Entertainers of all kinds, as well as educators, institutions and houses of worship will appreciate the ability to mix up to three input sources (mic/line, line and music playback device) at once, making CP a great single-box PA system that sets up in seconds. As part of a larger system, CP can be deployed on a speaker pole, used as a floor monitor or as a musical instrument amplifier. System integrators will especially appreciate CP’s lightweight and compact form factor when attaching it to a wall or truss (via optional yoke mount). 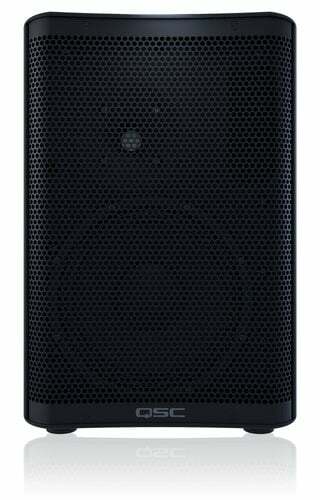 And all users will enjoy one-touch DSP control with preset contours for the most common audio applications. CP’s 1000-watt power amplifier, matching transducers and advanced DSP deliver stunning performance for such a small loudspeaker. 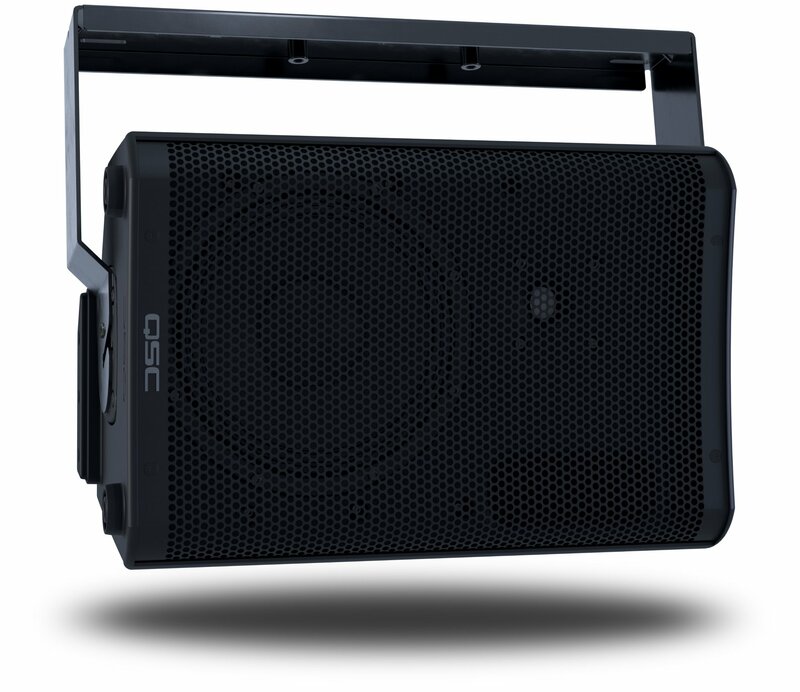 You can mix up to three input sources (mic/line, line and music playback device) making CP a great single-box PA system, or it can be deployed on a speaker pole, as a floor monitor or musical instrument amplifier as part of a larger system. One-touch DSP with preset contours for the most common applications is also provided. Some gear shown above are NOT INCLUDED and sold separately. For more information on this and other products, please contact your Sales Pro.